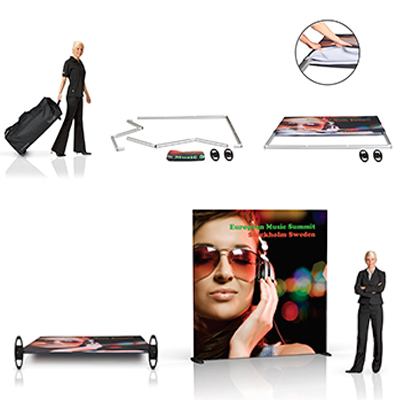 High impact tension fabric display system that puts your visuals in focus! 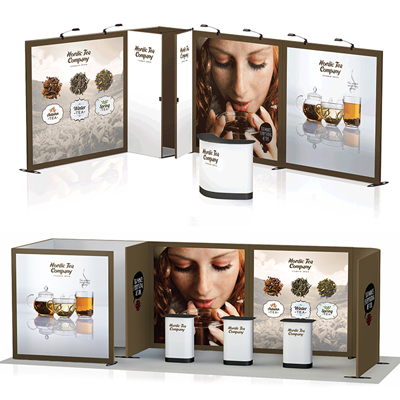 The Expand GrandFabric is a high quality modular and portable stretch fabric display system which is fast and easy to setup. The unique aspect of this dispay allows you to also take it outdoors with the optional addition of an outdoor conversion kit which makes this display incredibly versatile. 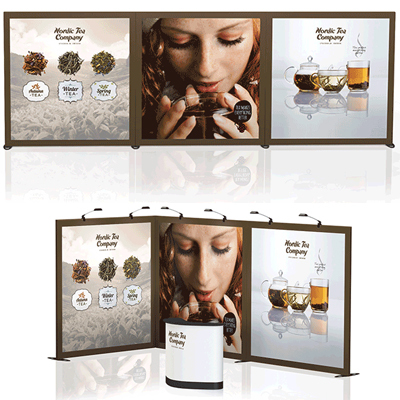 Expand GrandFabric is a large seamless freestanding 'sleeve' fabric display system which easily connects together. 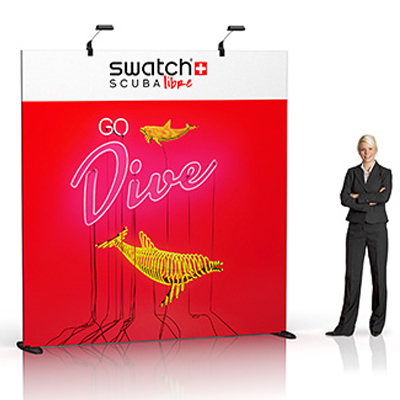 Use the walls stand-alone or connect multiple backwall units together to create a variety of different unique configurations to alter the shape and size for each event. If you need to take your display outdoors - no problem! 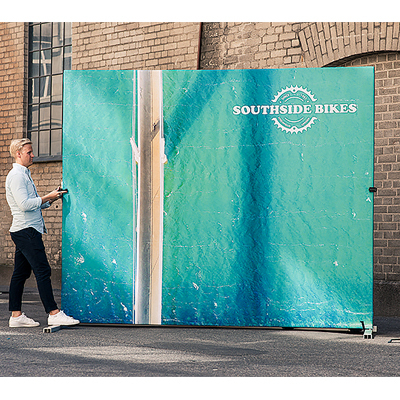 By connecting the optional outdoor conversion kit, you can now take your message outside (even in light winds & rain) for all your outdoor event activiities. Can be used indoor and outdoors with the use of an outdoor conversion kit. Modular frame is robust in construction and engineered from high grade lightweight aluminium. 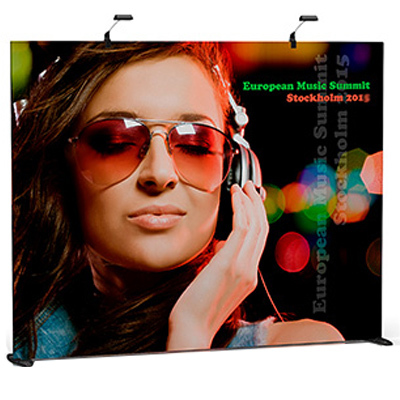 High quality fabric panel can be easily changed out to suit your target audience. No tools requried and is fast and easy to setup. 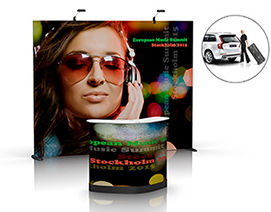 2400mm (h) x 2940mm (w) standard size, however other width and height options available on request. 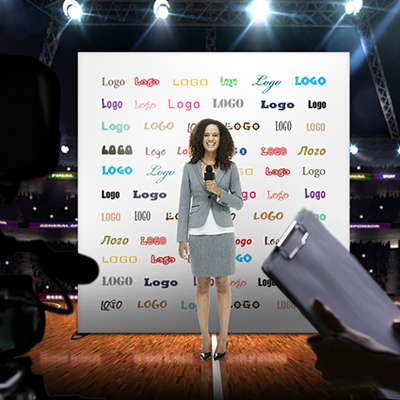 With the free-standing monitor wall you can easily show a digital preentation while communicating your brand on the wall's large exposure area. The GrandFabric Monitor Wall comes with extra long feet to ensure stabilty with the monitor is in place. 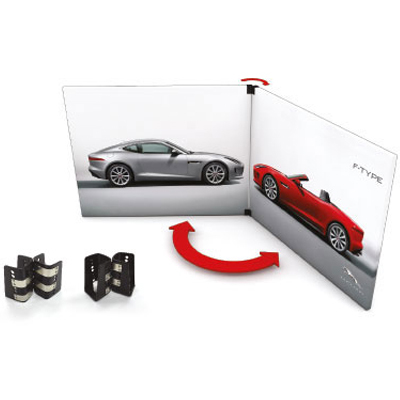 The Expand PodiumCase & Expand PodiumCase XL are ideal accessories for the Expand GrandFabric Display System.